Abstract interface of block ciphers. Implemented in ts::DVBCSA2, ts::AES, ts::CipherChaining, ts::DES, and ts::TDES. 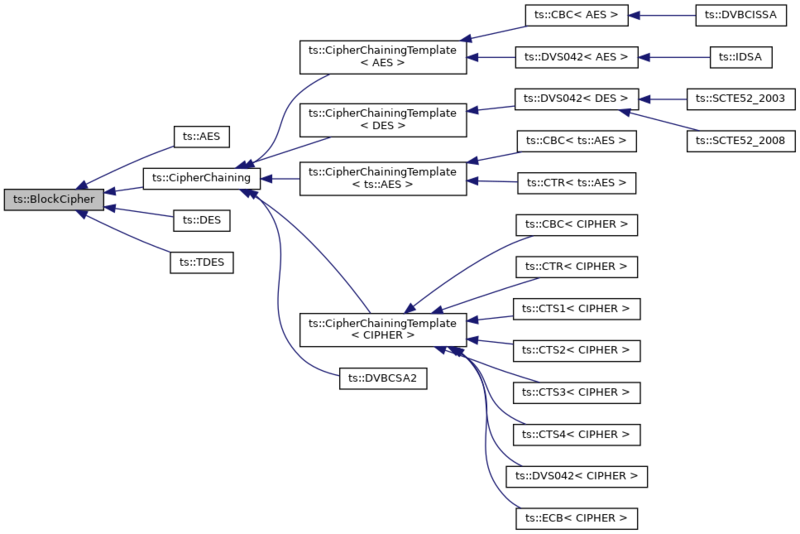 Implemented in ts::DVBCSA2, ts::AES, ts::DES, ts::TDES, and ts::CipherChaining.